Twenty-eight-year-old Lana Green has never been good at making friends. She’s perfectly happy to be left alone with her books. Or at least, that’s what she tells herself. Nancy Ellis Hall was once a celebrated writer. Now eighty, she lives alone in her North London house, and thinks she’s doing just fine. But dementia is loosening Nancy’s grip on the world. When Lana and Nancy become unconventional house mates, their lives will change in ways they never expected. But can an unusual friendship rescue two women who don’t realise they need to be saved? ‘The Forgotten Guide To Happiness’ is a beautifully poignant and witty story that really grabbed my attention throughout. The story is seen through the narrative of Lana, a successful author who is struggling with her follow up second novel. Having suffered a recent heartbreak, she’s finding it difficult to write an upbeat story of love and positivity much to the dismay of her agent and bank balance. Finding herself not only broke but broken, she starts a new career as a romantic lecturer as well as becoming a carer for Nancy Ellis Hall, a literary icon on the cusp of dementia. Her step-son has stepped in as a reluctant hero to help Lana research her book as well as prove that heroes do exist. This is a lovely story, Lana is a funny and regularly had been laughing at her anecdotes and crazy situations, as she relaxed into her new job as a lecturer and teaching others around her about love, even though she has given up on the concept after being left heartbroken. Nancy is a boisterous character that really lit up the pages of the story, outspoken, creative and deliciously kind hearted, it was hard not to fall in love with the old dear as she spoke frankly of love and her own experiences. She becomes across as quite a hardhearted character, but she’s actually quiet vulnerable and hides behind this facade. Scenes between her and Lana are wonderfully funny and occasionally tender moments. Whilst Jack, the budding hero of the story is quite a charismatic gentleman who is out to prove to Lana, that there are still some heroes in the world. Wonderfully lighthearted but deliciously fun, ‘The Forgotten Guide To Happiness’, is an entertaining story of friendship and new beginnings. You can buy The Forgotten Guide to Happiness from Amazon and will be available to buy from good bookshops from 9th August 2018. 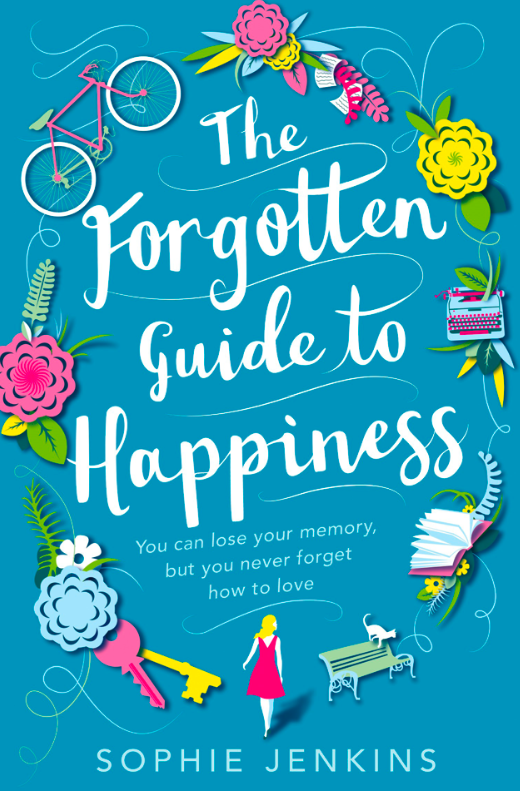 Today on the book tour for Sophie Jenkins’ new book ‘The Forgotten Guide To Happiness’, Sophie talks about the struggle that most authors face and that’s writers block. In the ‘Forgotten Guide to Happiness’, the jilted heroine Lana Green writes a depressing sequel to her first novel, a love story, and when she is forced to come up with a new idea she gets writer’s block. The original idea was like a bigger take on Facebook posts; the first novel had all the stages of a romantic relationship, the happy photographs, the beautiful settings – and then the next thing you know, it’s all over except for the unanswerable question – what just happened? The darker side of life is always more interesting to write about than happiness and I also liked the idea of the romance from her point of view as opposed to the way her boyfriend sees it – to him, her fantasised version of him is difficult to live up to, whereas for her, portraying him in a idealised way was a sign of how much she loved him. 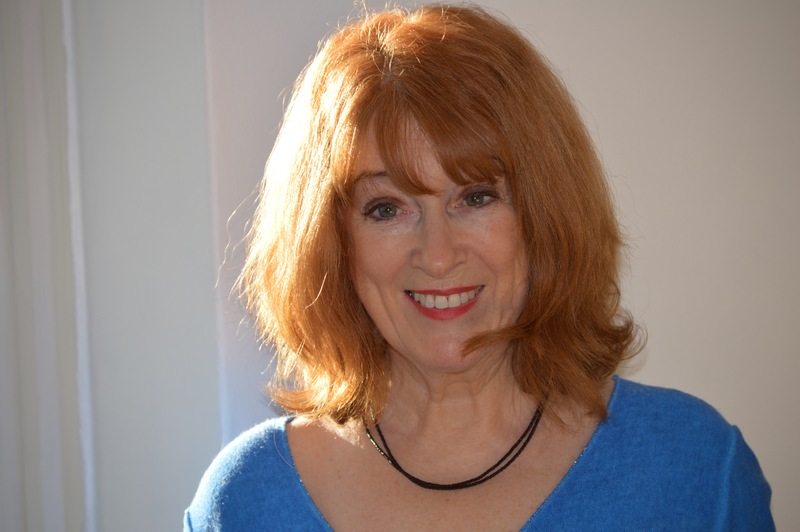 Because of this she loses all sense of focus when she comes to write the next book and she only becomes unblocked because of the influence of Nancy Ellis Hall, a feminist writer with dementia who fell in love with a younger man. The character of Nancy is based on my mother who has always been a larger-than-life character and for a long time I wasn’t able to write even though I only saw her two days a week. I live in London and she lived in Wales. But I thought about her all the time and it felt as if I didn’t have any room left in my head for being creative; in the scheme of things it really wasn’t a priority. Real-life sometimes doesn’t leave much room for anything else and that’s how it should be. To help my creativity I went on a Commando Survival Course in Buckinghamshire in November, when the snow was on the ground. I creatively built a shelter but I was more focused on surviving the cold than writing. Then I went to a Romantic Novelists’ meeting with friends and they were talking about when they write, and what they usually wear when they’re writing. It’s almost like a superstition, swapping writing tips, and I’m always on the lookout for brilliant ideas that might be helpful. One of my friends said she stays in bed and with her laptop and she doesn’t get up until she’s finished her thousand words target. That method was very appealing, until another friend told us she doesn’t start writing until she’s showered, dressed and put make-up on, because she says it’s only then that she feels ready to do a day’s work, and I got on board with that as well. For Christmas, my sister came up with a solution. She gave me a Mint Velvet gift wrapped box and inside she had put dark grey tracksuit bottoms and a pale grey top and told me it was my new writing suit. Wake up, shower, put on the writing suit and I’m good to go. You can buy The Forgotten Guide to Happiness from Amazon and is available to buy from good bookshops. Copyright © 2019 HandwrittenGirl. All rights reserved.